The Billions Institute is proud to recommend the following people as large-scale change facilitators and coaches. If you would like additional support in designing or leading your large-scale change effort, please feel free to reach out to any of them directly. 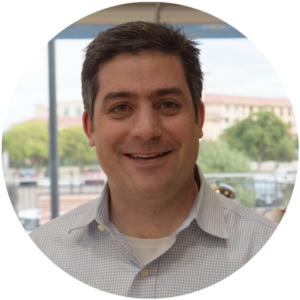 Joe McCannon leads Shared Nation, an online democracy initiative incubated by the Billions Institute. He co-founded the Billions Institute with Becky Margiotta and was CEO from 2014-2017. Before that, Joe was an appointee in the Obama Administration, as well as Vice President and faculty on large-scale improvement at the Institute for Healthcare Improvement (IHI), where he led the organization’s major domestic initiative to improve patient safety, the 100,000 Lives Campaign, and started its work in Africa. He has supported large-scale transformation in several nations, including Canada, Denmark, England, Japan and South Africa, and consulted on the topic for a number of organizations, including the Bill and Melinda Gates Foundation and the World Health Organization. He has published widely on the science of dissemination (examples from JAMA, Harvard Business Review and the Stanford Social Innovation Review), and has expertise in all facets of leading large-scale change, including design of innovations for scale, selection of effective spread methods and management of dynamic learning networks. Joe can be reached at joe@sharednation.org. Nana Twum-Danso is a public health and preventive medicine physician and a social entrepreneur with almost 20 years of experience in public health policy, strategy, program design, implementation, monitoring, evaluation and research. She has worked at local, national and global levels in the US and several countries in South Asia and Sub-Saharan Africa. Her areas of expertise include quality improvement, large-scale change management, maternal and child health, and rural health care and she is a skilled trainer and coach. Nana is the Founder and CEO of MAZA, a social enterprise that is establishing a transportation network to provide timely access to health care in remote rural areas of Ghana. 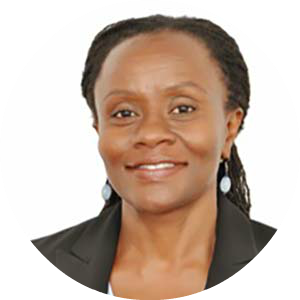 Before MAZA, Nana was a Senior Program Officer at the Bill & Melinda Gates Foundation where she shaped and managed grants to improve maternal and child health outcomes at scale and provided strategic guidance on adolescent health and gender integration. Prior to that, Nana led Project Fives Alive!, a nationwide quality improvement initiative that partnered the Institute for Healthcare Improvement (IHI) with the two largest health service providers in Ghana to reduce child mortality. Since 2016, Nana has been consulting for the Billions Institute, IHI, academic institutions and multilateral organizations around the world. She can be reached at ntwumdanso@icloud.com. Abigail (Abby) Zier Alyesh is the CEO and Founder of The Improvement Lab, a consulting company specializing in improvement science, large-scale change, and learning network design and management. Abby co-authored Unleashing Large-Scale Change with Becky and Joe, which codifies the Model for Unleashing. She is a go-to resource for aim setting, prototyping, intervention refinement, measurement across a network, and selecting and designing methods for spreading behavior change and can be reached at azalyesh@improvement_lab.com.